← OPEN LONDON: the invitation for Open Investigation? I THINK, therefore I am – Grady Booch: Is the Mind Computable? I THINK, therefore I am. 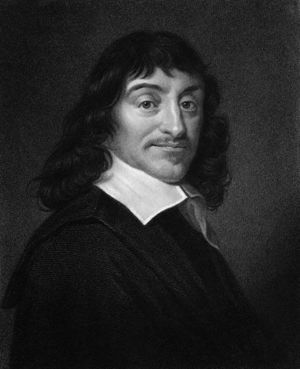 This famous quotation by Rene Descartes is the title for the Prestige Lecture by the British Computer Society on 27th June. The speaker is Grady Booch, the Chief Scientist for Software Engineering at IBM Research. Is the mind computable? is the subtitle. It’s a strange phenomenon, this process of thinking. Every meditation turns you into its observer. And then you ask yourself: who observes? Thinking is the precursor for speaking, writing, coding and other forms of expressing thought. What’s the difference in thinking, when writing poetry, prose or code? Or is it interpretation what we’re doing when we think we’re thinking? Do we just interpret and make sense of what we see, hear, smell, touch and feel, when we think? Where do thoughts originate? We know how many kinds of triggers there are. We know how they generate feelings. We know how they trigger memories. Memories of sounds and images, words and numbers. That’s exactly what we’ve trained computers to do. repositories of thoughts and insights, information and knowledge. Now humanity has data, big and open, as a repository for developing thinking. Yesterday’s presentation of the latest Technology Strategy Board (TSB) call for multi-disciplinary software design is an opportunity for me to develop Open Data Investigation. With smart tools: to develop our intelligence. Collectively and connectedly: one mind and one computer at a time. This entry was posted in Data Based Science, IBM, Measurement Based Science, Measurement based science, Scientific Theory, Smart Knowledge Systems, Smart Portals, Technology Strategy Board, Web Science and tagged British Computer Society, Cogito ergo sum, Engineering, Grady Booch, IBM, René Descartes, Smarter Planet, Software engineering, Technology Strategy Board, Thought. Bookmark the permalink. 2 Responses to I THINK, therefore I am – Grady Booch: Is the Mind Computable? “I think therefore I am.” What does this mean? Is the processing of conscious thought not the result of human existance experienced through the 5 senses? If all 5 senses were taken from an adult with, say 25 years of life experience, with memories of all things, there would remain the ability to think, imagine and visualise within their conscious mind, – albeit they would be trapped in a darkness and their ability to learn new things would cease. Their mind could only comprehend thought based on their life’s experiences whilst they had the full function of their 5 human senses. Now if you consider the same situation for a new born baby, who is born without any of the 5 human senses, the ability to think is redundant because they have no images or memories to think about. They therefore cease being. This is because a humans conscious is built up from things experienced through the senses and stored in the collective memory, allowing thought or the thinking process to function. Well, at the time, it was Descartes who created a nice ‘nutshell phrase’. Now it takes ‘bullet language’ and hardly anybody asks themselves the way you do.